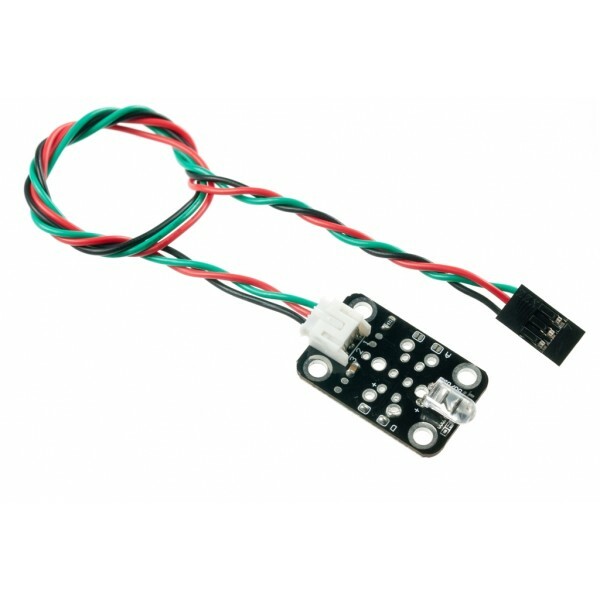 The IR Transmitter Module allows your robot to produce modulated IR Infrared light as commonly used by remote controls. 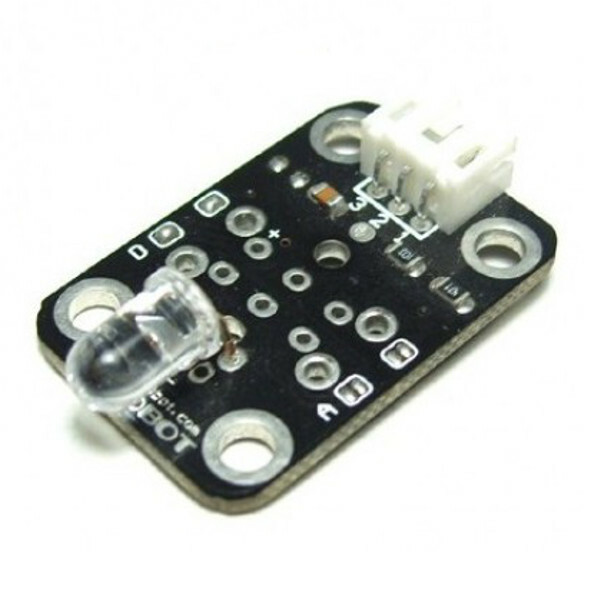 Match this module with an IR Receiver Module to allow your robot to communicate with similarly equipped robots. You can also use this module to experiment with controlling household devices such as TVs via IR signals. 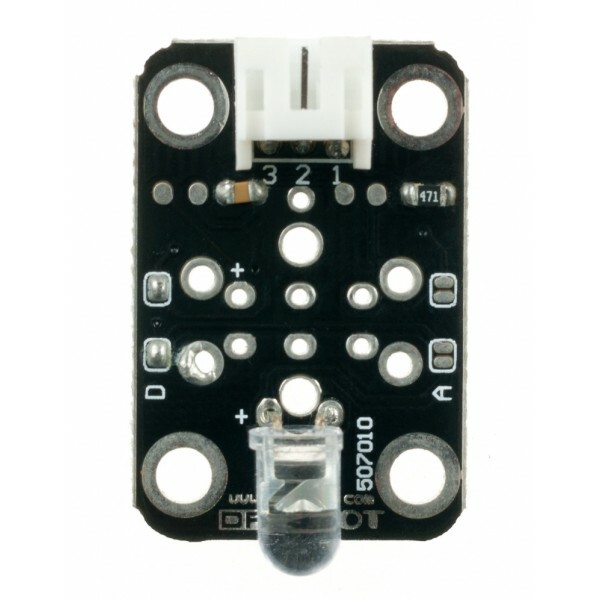 Connect the (VCC) and (GND) pins to a 5V power supply and the digital output (D) pin to an output on your controller.